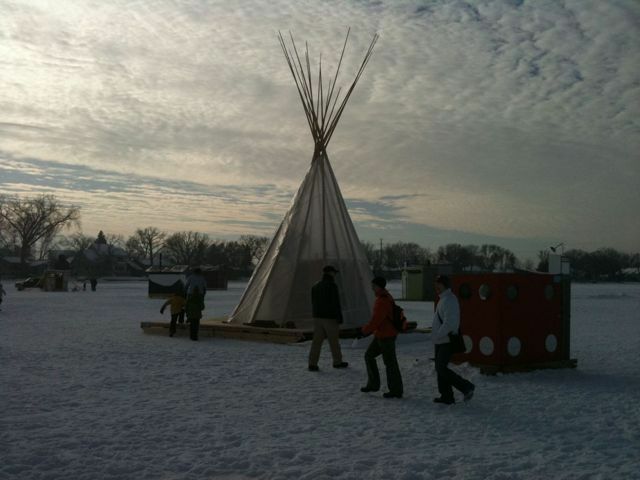 I got to the tipi 15 minutes before opening bell. 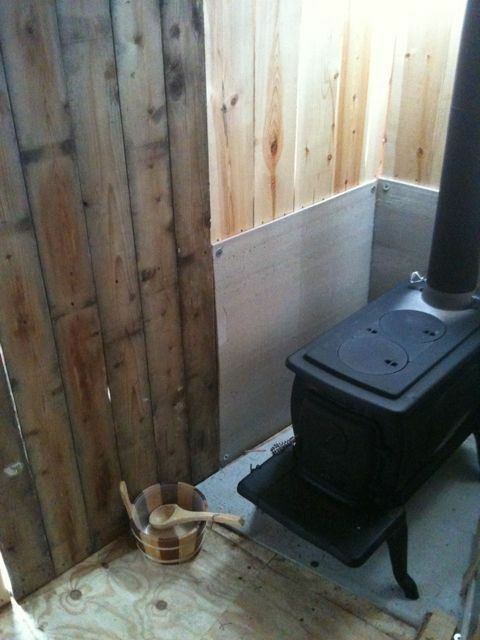 The stove lit up like a dream: three carefully placed matches; a good blazing fire of the wood scraps from building the sauna. 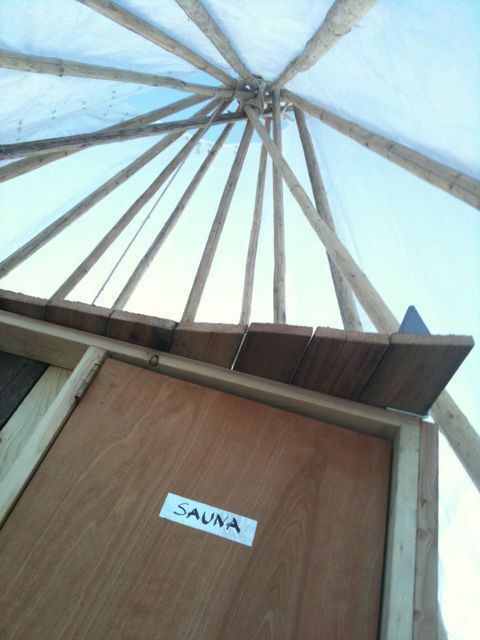 The sauna was 135F by the time the first visitor stooped thru the tipi door. Hundreds of men, women, children and dogs all day. Tomorrow will be my first day out there alone. I’ll be able to sweep out the sawdust, hang the velour liner, and cozy it up. Awesome, Elaine. Bet you will be glad to get back to NYC after living in the tundra. 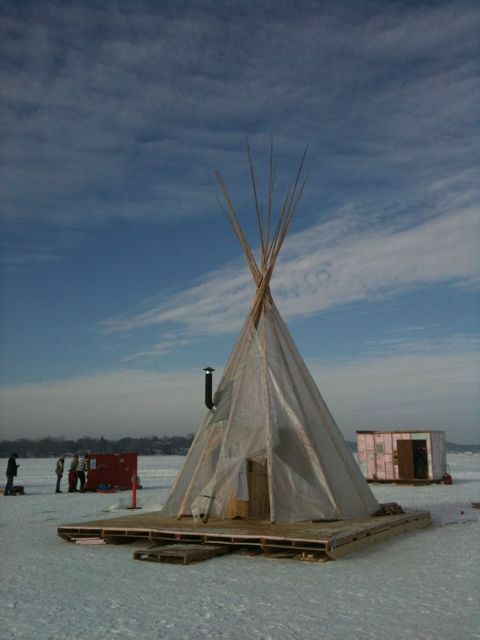 Loved your tipi and sauna today! I have a few photos I’ll be sending you.